When I was young I was terrified of flying monkeys along with Miss Hannigan and the Nazis amongst a billion other things including probably my own shadow. So much so that I think my biggest fear was, and still is, fear itself. Just the thought of being scared terrifies me (all you have to do is mention a horror film or haunted house to get my heart rate going) but I have learnt that fear can be good. Sometimes it’s ok to be scared. Tomorrow I leave for Lanzarote and I’m a little bit terrified. It will be my 50th marathon but that bit of fear and anxiety you get before the race never goes away. Even more so when it’s an important one. On Saturday I start the 52 marathons in 52 weeks. It’s not a big deal to some runners I know but to me it’s a once in a lifetime kinda challenge. Sure they’ll be other challenges after but nothing this big over such a period of time (mostly because I want to stay married). For me this is a very big deal and I really don’t want to mess it up. The first race isn’t the best of omens either. 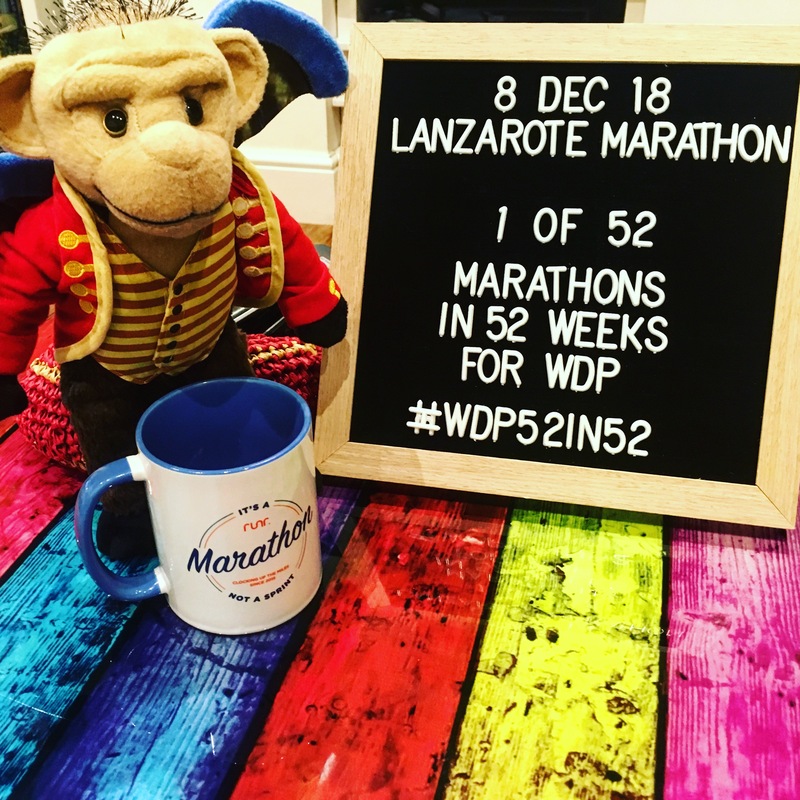 I’ve entered Lanzarote marathon the last two years and have never have got to run it. Third time lucky right? I do have a history of taking on a nemesis and kicking it in the you know what but I just have to go in with the right frame of mind and let the fear work for me rather than against me. Thankfully Ali, one of my favourite running buddies, will be there. She’s running the half which starts 13.1 miles and 2 and a half hours into the full so we’ll be running the second half of the race together. The decision to run the challenge for a charity does add pressure but I like that. I’ve discovered over the years that it is a lot easier to fight your fear demons when you’re doing it on behalf of someone else (I literally conquered half my fears on a holiday once because there was someone there more scared than me). Warrington Disability Partnership have been incredibly supportive already but running for them means I have a bigger picture. If me completing my challenge means that I can help them help more people than I have no option but to succeed, fear be damned. I’m even taking one of my old fears with me, my new mascot for the next 1,362.4 miles (eek sounds a lot worse when you work out the miles) is my very own flying monkey. Maybe by the end of it I can finally decide on a name for him. You are such an inspiration Sarah. Good luck lovely lady.. you will smash it (as they say)… I just love your positivity… and you make running long distances seem so easy. Keep going lovely… and keep smiling! “You’re an inspiration” is a much used term, perhaps overused at times, but you, Dear Lady, are hugely inspiring to me & many others I know. . . Go steady,Go long & be Proud Sarah. . .x. .. .❤. .. .